Apple has been developing an entirely new 17-watt power supply intended to power a new product that will require slightly more juice than the current iPad but significantly less than the company's MacBook Air lineup, AppleInsider has learned. 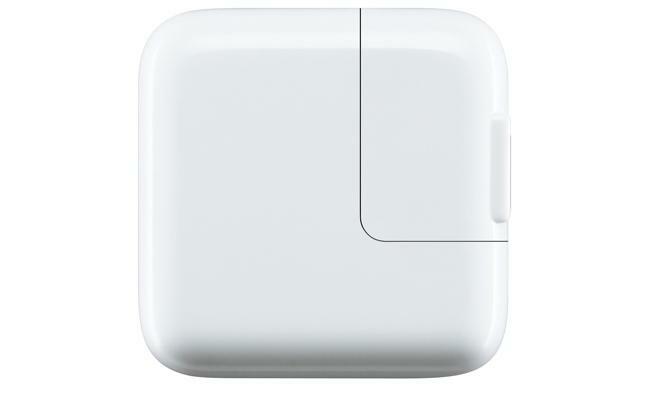 Apple's current 12-watt iPad power adapter. It's also said that the new 17-watt adapter is not intended as an upgrade to an existing Apple product line, such as the anticipated fifth-generation iPad. That device is instead expected to ship with the same 12-watt adapter. The fifth-gen iPad is expected to ship with the same 12-watt adapter. But Apple is also rumored to be working on a new product that will require slightly more power. To be clear, there is no indication that Apple is planning to launch such a device in the immediate future, such as next Tuesday's media event at the company's corporate headquarters. That keynote is expected to focus largely on the new fall 2013 iPhone lineup. To put the rumored 17-watt power supply into perspective, the current Apple TV sips electricity through an internal 6-watt power supply, while the iPad ships with the aforementioned external 12-watt power adapter, and the iPhone comes with a 5-watt adapter. Apple previously shipped a 10-watt USB wall adapter with its iPads, but upgraded to a 12-watt model that could recharge its tablets more quickly last fall. Since then, the 10-watt charger has been discontinued. 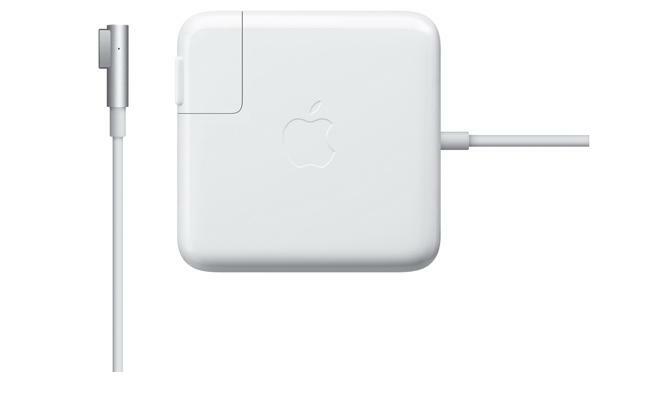 Apple's current 45-watt MacBook Air power adapter. Apple's AirPort Extreme router and Mac mini computer both previously utilized external power "bricks" to keep the size of the devices down. But in recent years, both products have been redesigned to use internal power supplies. The AirPort Extreme currently uses about 25 watts at 120 volts, while the Mac mini has a maximum load of 85 watts. That means the only Apple products to currently use external power adapters are iOS devices, iPods, and MacBooks  portable devices. Exactly what the new 17-watt adapter could be used for remains unknown. But there have been recent rumors claiming that Apple was experimenting with releasing a larger iPad model with a 13-inch display. With tablet sizes trending smaller, and the iPad mini now more popular than its full-size brethren, it seems unlikely that Apple would release a larger 13-inch iPad. Alternatively, that screen measurement would match the most popular screen size for Apple's MacBook notebook lineup, including both the MacBook Air and MacBook Pro. And a larger display could also justify the need for a higher wattage charger. Some recent rumors have suggested an iOS notebook or enhanced Apple TV could be in Apple's future product pipeline, but there's no indication that the announcement of such products is imminent. For instance, well-connected insider John Gruber of Daring Fireball said in a post back in May that he doesn't expect Apple will ever release a touchscreen MacBook. However, he said he does "eventually" expect the company to release an iOS notebook  something that might justify a 13-inch display. Another potential product on Apple's horizon is a new television accessory akin to an enhanced version of the current Apple TV. TechCrunch columnist MG Siegler said in a recent appearance on Gruber's podcast that he has heard Apple could announce an unexpected television-related product as soon as this fall. However, it does seem unlikely that Apple would ship a home theater product with an external power supply, as the 17-watt adapter is rumored to be. But a more functional set-top box would almost certainly require more power than the 6-watt integrated AC adapter currently found in the Apple TV. Whatever the mystery product is, there's also a possibility that it could never see the light of day outside of Apple's development labs. The company's products are legendary for going through numerous internal revisions, and many potential devices are never shown to the public. A rare glimpse at Apple's development process was given last year as a result of the company's patent infringement lawsuit with Samsung. Through court filings, photos of early prototype iPhone and iPad concepts showed radically different devices, including an iPad with a built-in kickstand.